Document your business management experience and success. Forward contactable (provide addresses/phone) references that demonstrate your character and personality. For example, references could include contacts in banking, clubs/organizations, and religious organizations as well as legal advisors, accountants and friends. Documentation to demonstrate your capital and financial resources and show you have the means to sustain a center for at least 2 years while it becomes established. Once accepted as a prospective franchisee you or your agent must successfully complete all of the Franchise Training. Demonstrate an understanding of and agree to establish a HTC tourist and rental activity. Providing all of the above is acceptable to HTC corporate headquarters, you will be invited to join our family of Hovercraft Training Centers. Most franchisees start with a Mobile Hovercraft Training Center (MHTC) which is supplied by HTC headquarters as a turn-key package. The MHTC is designed to be transported inside a 45Ft (13.72M) High Cube overseas shipping container. The MHTC is specified, designed and developed by HTC headquarters. It is 40 ft (12.19M) long by 8 ft (2.44M) wide by 9 ft (2.74M) high. Fully loaded and road-ready, the MHTC weighs less than 3,500 Lb (1,590Kg). It is all composite with a steel chassis and is road trailerable behind a van with a 300 Hp engine, specifically a metallic blue Chevy cargo van. Inside the MHTC is a bathroom, a lecture classroom with all training amenities for 10 students, three hovercraft (two training craft plus one craft for retail sale). 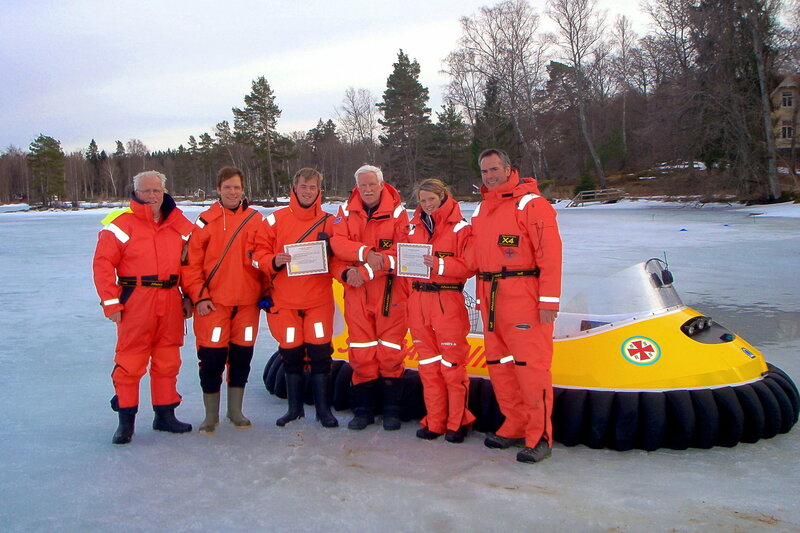 Each MHTC has an organized workshop for hovercraft servicing and the trailer is heated and air conditioned. Each MHTC is equipped with an onboard power supply of 240, 110 and 12 volt circuits with outside plug-in receptors and a portable generator. Each MHTC complies with all known international road regulations for trailers. A fixed HTC must comply with all standards detailed by HTC corporate headquarters. Each Center must be located adjacent to a body of water. Each Center must mirror all the features found in the MHTC with lecture room, toilet, workshop and three Neoteric hovercraft. Centers cannot deviate from Hovercraft Training Centers, LLC standards and rules. 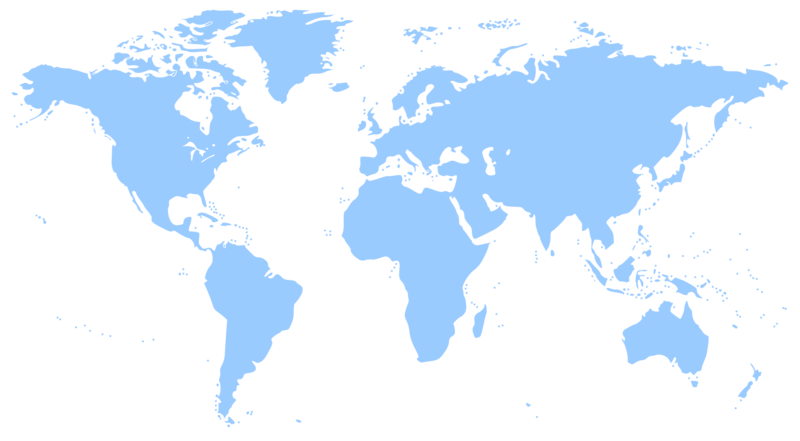 Note that ALL centers are controlled through HTC's corporate web site and social media, which collects all contact information and forwards to the appropriate Center worldwide. All franchisees are required to submit country specific web site content in order to maintain their HTC web site in their local language. Franchisees are responsible for operational costs, including property management, employee and subcontractor wages and equipment purchases. Our Centers train exclusively on Neoteric Hovercraft, the most advanced light hovercraft on the market. 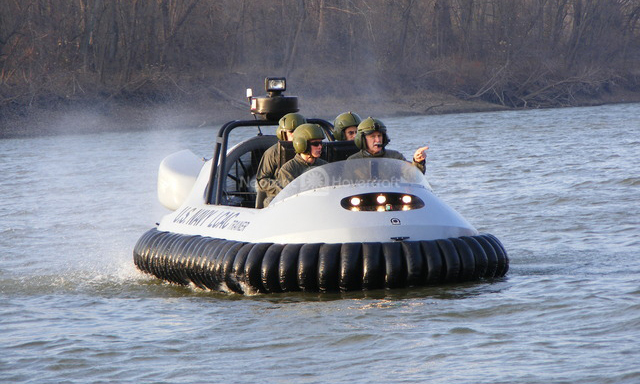 These unique craft are central to the image and branding of Hovercraft Training Centers. We do not allow the use of any other hovercraft brand and Neoteric Hovercraft cannot be modified under any circumstances. 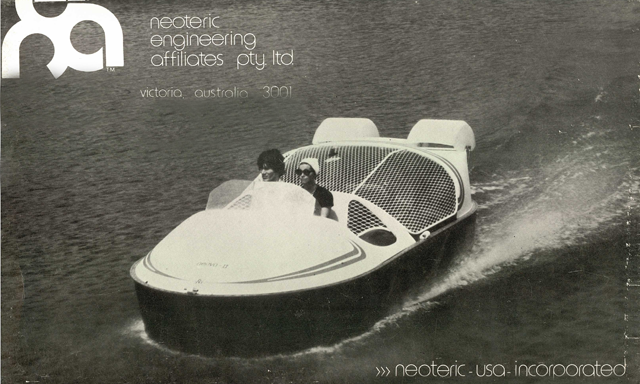 Franchisees are required to purchase a minimum of three Neoteric Hovercraft units (discounted 20% off retail). A Hovercraft Training Center starts as a mobile unit and as the business expands a fixed facility will be needed. This facility must accommodate an administration and marketing office, classroom with a minimum 10 student capacity, and a fully-equipped garage for hovercraft repair, maintenance and service. The center must be located within 15 minutes of a water training area if not available on site. Hovercraft Training Centers provides prospective franchisees with training at HTC corporate headquarters in Terre Haute, Indiana USA, which includes thorough training in hovercraft operation and maintenance, business operation, marketing, and safety and security procedures. We fully support franchisees in marketing initiatives such as local, regional, national and co-op advertising and web-based and social media campaigns with video, print collateral, and other media at discounted rates. Our franchisees benefit from the expertise of our experienced pilots, instructors and engineers for comprehensive field operation support and evaluation. All Hovercraft Training Centers, whether mobile or fixed, are managed through Hovercraft Training Centers, LLC corporate headquarters in Terre Haute, Indiana USA. All Centers will conform in entirety to standards as defined by HTC corporate headquarters; any deviations or modifications must first be approved. The intent is to maintain consistent high quality uniform standards of image branding, management and service. HTC looks forward to a long and prosperous relationship working with you as we build and expand the worldwide network of Hovercraft Training Centers. If you’d like to investigate owning and operating one or more Hovercraft Training Centers, please complete the following Request for Information and we'll respond with an application form.